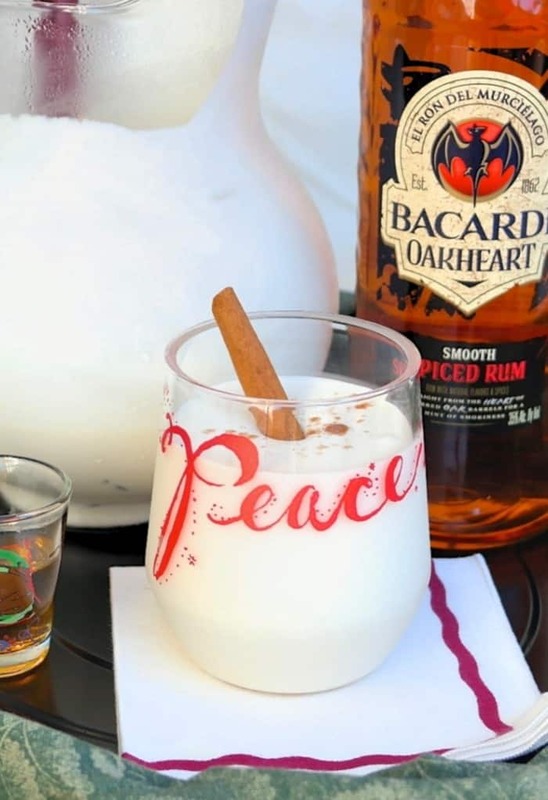 Rich and creamy popular Puerto Rican Coconut Beverage; Coquito Cocktail is a festive drink that is shared with friends and family during the holidays. Today I’m sharing one of the most decadent cocktails that I’ve ever tasted; Coquito, a traditional holiday beverage that is served in Puerto Rico! I first tried this creamy coconut cocktail about three years ago, and haven’t had it again until vacationing and shopping in San Juan just a few weeks ago! 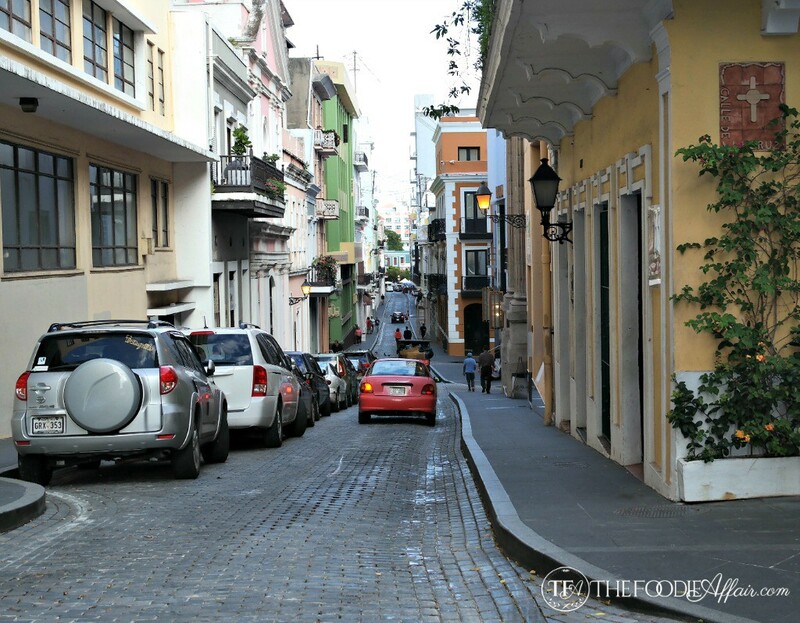 Alan and I were exploring the quaint town and popped into a jewelry shop and started to chat with the sales gal about the frog that is so prevalent in Puerto Rico, the Coqui. She pulled out a tray of frog charms and other pieces only available in Puerto Rico, and then offered us drinks; Medalla (beer), Sangria or Coquito. My ears perked up when she mentioned Coquito! Alan opted for the beer, which was whole 12 ounces served in a red party cup. My cocktail arrived in a plastic shot cup, which was just shy of an ounce. It was one tasty sip though and as soon as we got home I made a whole pitcher of Coquito! There are many variations to this recipe as there are ways to serve this cocktail. I added my own flare by using spiced rum, which I served on the side instead of adding it in the drink. Since this drink is so thick and is served cold, adding ice to the drink was the best way to thin down the thick coconut mixture. 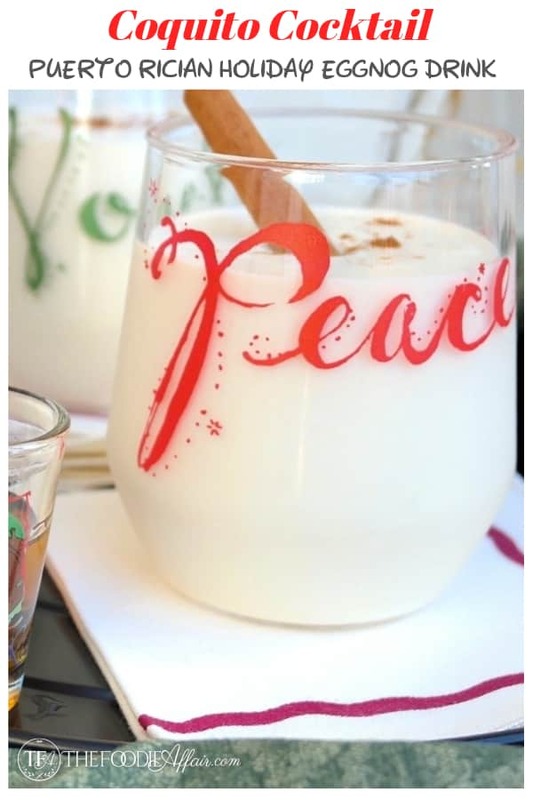 Serve the coquito in a pitcher without the rum so the amount can be adjusted to each person’s preference. Happy New Year, awesome friends! Wishing you a safe holiday and I look forward to sharing the new year with each of you! 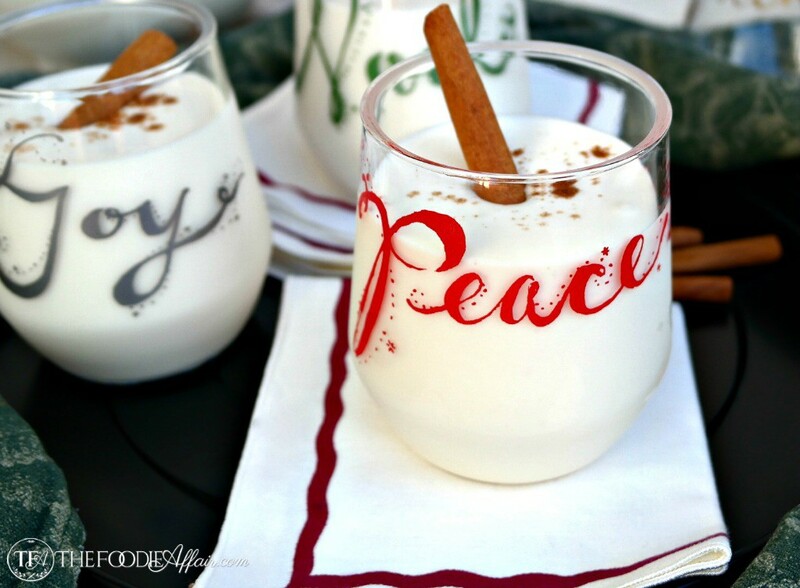 Enjoy a glass of coquito at your next holiday party! This cocktail is a rich coconut flavored drink similar to eggnog, but with a splash or two of rum. 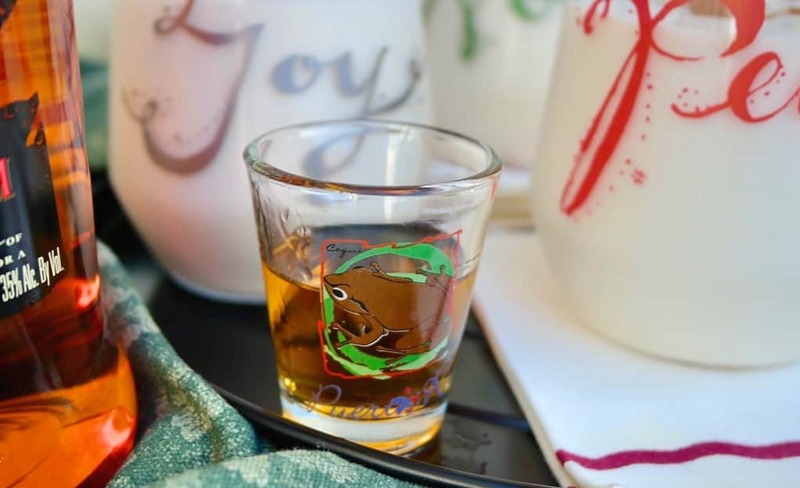 This is a holiday drink often served in Puerto Rico. In a large glass blender combine cream of coconut, evaporated milk, sweetened condensed milk, and vanilla. Pulse until smooth. Pour into a pitcher and add cinnamon sticks. Cover and refrigerate and chill before serving (the longer you chill the more time the flavors blend together). 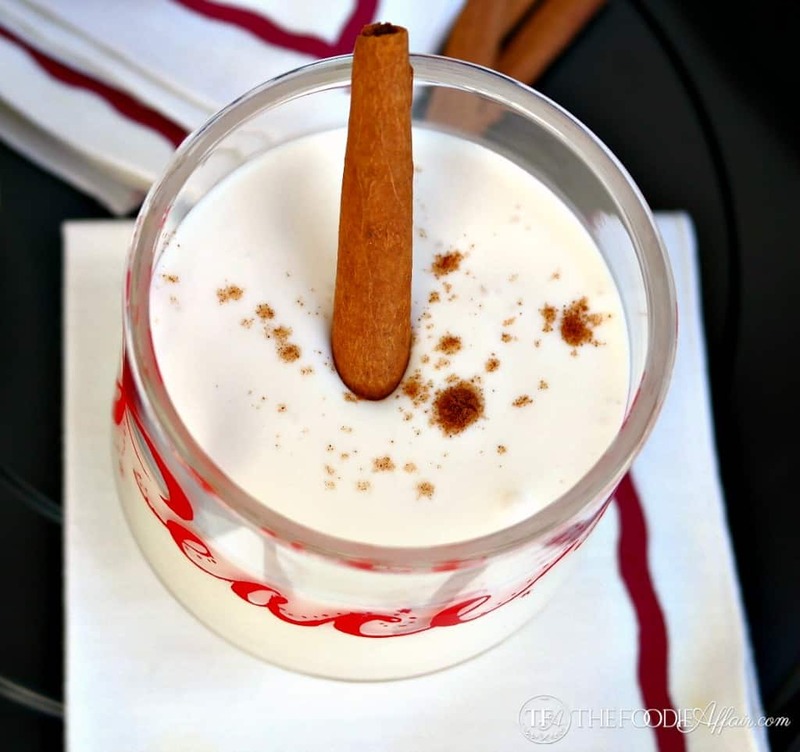 Before serving stir coquito, remove cinnamon sticks and serve over ice. Add rum (1 - 1.5 ounces per drink), stir, and sprinkle with cinnamon. Adapted from Coquito – Coconut Eggnog from the Goya site. I love coconut so this drinkity drink sounds delicious! Beautiful pics too! This cocktail is so decadent, Erica and if you like coconut, this is the drink for you! This looks like a yummy dessert drink. This is definitely a treat and only shared during the holidays in Puerto Rico. I love all things coconut!!!! I bet this drink is delicious! Totally rich, coconuty, and yummy! This looks like a real yummy drink, love the photos also! Thanks, Mary Ellen! I had a great day of sunshine the day I took these pictures. Such a difference compared to the overcast days that I often deal with! Oh man, my hubby made this for our NYE party after having it at his family’s Christmas Eve dinner…AMAZING. So easy going down, and it hits you quickly if you’re not careful, lol! YUM! This can hit you when least expected because you really just taste the delicious coconut flavor. We all loved this cocktail too!! Beautiful drink and I bet really rich and delicious. I think it might even taste better if I was drinking one on the veranda of one of the restaurants in San Juan. I can’t wait to hear more about your holiday. Oohh!! Puerto Rico!! Exotic, I love it! I adore discovering new dishes from cuisines, especially such traditional and celebratory ones like this! Thanks for sharing Sandra!! Yum, I’m a huge coconut fan, this cocktail sounds fabulous! Perfect holiday drink! Love the festive cinnamon stick! I’ve never had a Coquito Cocktail, but I LOVE coconut. This sounds like a drink I would definitely like a lot! I swear, I wish I was your neighbor!! 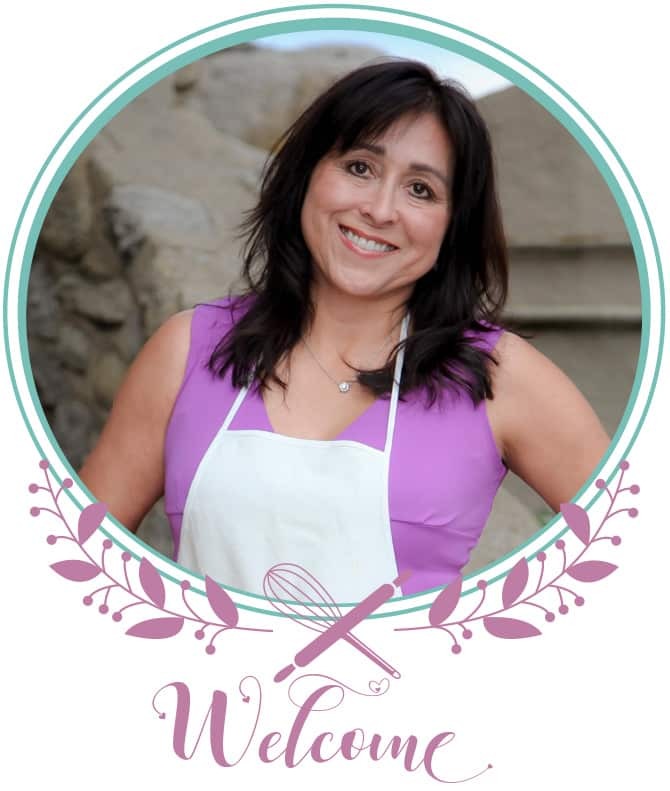 You make the best food and drinks!! This looks amazing. 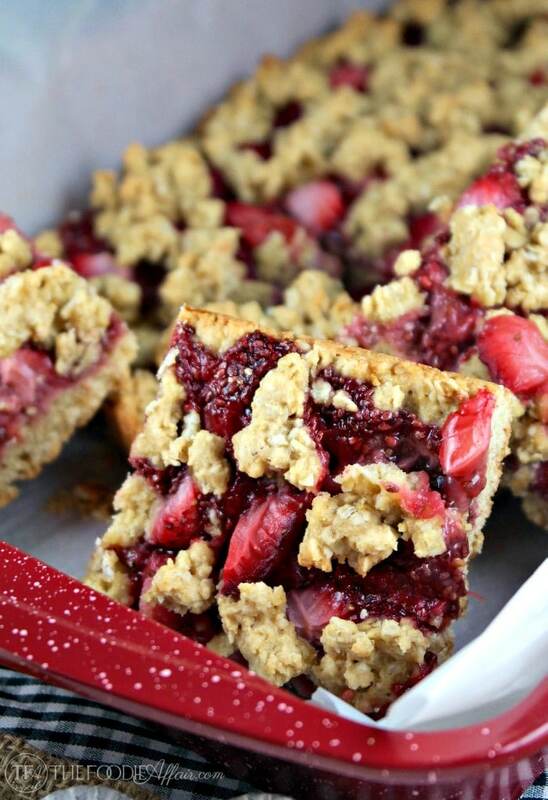 I love coconut & think I have all the ingredients to make this. Thanks & cheers! I always say relatives are more fun over the holidays if you serve booze and this drink sounds warm and dangerous. Just like I like them! I LOVE any kind of drink with coconut so this is right up my alley!!! I don’t drink alcohol but I love the flavor of rum extract – I wonder if I could use that and still make this work because the cinnamon, coconut, rum flavor combo sounds incredible! You can use rum extract or leave it out completely. I always serve the rum on the side just for that reason. What a fun holiday cocktail! I have to make one tonight! I love all things coconut and that coconut cream sounds like it will be the best textured cocktail ever! We just had the family together this past weekend and served coquito. Boy was it a hit and yes, nice and creamy!